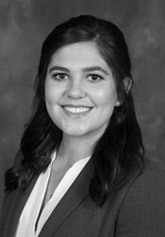 Autumn M. Coe is an associate at Donohue, Patrick & Scott, PLLC. Autumn received her Juris Doctor from the Paul M. Hebert Law Center, Louisiana State University. During law school, Autumn was an intern for a specialty finance company, monitoring legislation and assisting in the promotion of state and federal capital access programs. Prior to joining Donohue, Patrick & Scott, Autumn clerked for Judge Elizabeth Wolfe of the 21st Judicial District Court. Autumn earned a B.S. in International Trade & Finance from Louisiana State University. Before practicing law, Autumn worked in China where she gained experience in both the public and private sector. Autumn is a member of the Louisiana State Bar Association and the Baton Rouge Bar Association. Autumn is admitted to practice in all Louisiana state courts, and in the United States District Courts for the Middle, Eastern, and Western Districts of Louisiana.